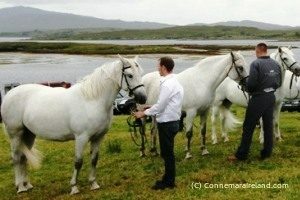 A firm favourite of horse enthusiasts young and old, the 2019 Cashel Show takes place in Cashel Bay, County Galway and features a variety of classes, among them yearling colt, two-year-old colt, yearling filly, two-year-old filly, three-year-old filly, four-year-old mare (with/without foal), and many more. A great day out for all ages. The show starts at 10:30 am sharp and includes a dog show starting at 2:00 pm. For a full list of classes or for further information, please see website. The Cashel Show is on the First Sunday in August.